TRU just cancelled my order for #75046. I paid with a gift card and discarded it after I got the order confirmation. I'm on hold to talk to someone. What are the odds they'll help me? 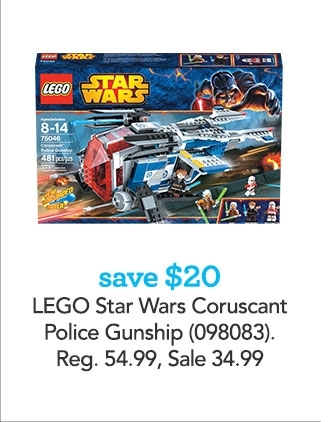 #75046 on sale for $35 at TRU. Still $50 at [email protected] Not sold elsewhere. Started working on #75046 Coruscant Police Gunship. It looks like the "swooshability" is strong with this one.